Bill Gerrard, 69, of Weatherton, Texas,(formerly of Schuyler) died Saturday, June 25, 2016 in Weatherton. Bill was the son of the late Mel and Eileen Gerrard of Schuyler. 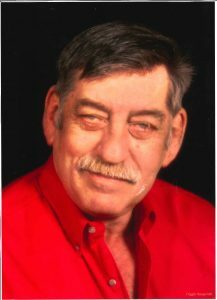 William “Bill” James Gerrard, 69, of Weatherford passed away on Saturday, June 25, 2016 at Weatherford Regional Medical Center after a lengthy illness. Funeral Service; 10am, Thursday, June 30, 2016, at DFW National Cemetery. Visitation 6-8pm Wednesday at Galbreaith Pickard Funeral Chapel. Memorials may be made to the Weatherford Boxing Team or to a local charity of choice. Bill was a proud retired Navy Corpsman, and an expert dog trainer and avid horseman. He always enjoyed drinking coffee with his buddies and playing poker on the weekends. Bill was preceded in death by his parents. He is survived by his daughter, Andrea Sue Gerrard of West Deptford NJ, two sisters, Mary Gerrard of Raleigh, NC and Anne Engel (Jon) of Richland, NE, one brother, John Gerrard (Nancy) of Lincoln, NE, and eight nieces and nephews.